Last weekend we got treated to the closed beta of The Crew 2. This new racing game from Ubisoft follows the core essence of the first one with a serious twist. Those familiar with the franchise will remember the open world gameplay about driving through the USA to find various races and challenges. Road trips were made, gas was guzzled and fun was had. Amusement is the key component of this title, as you not only ride on land, but also take to the seas and skies. In 2014 The Crew saw the light, bringing us the promise of open roads across the United States. It brought hours of cruising pleasure and team based competitions. If you were alone you had an A.I. team, but with friends it was more fun and they could boost you greatly because working together was essential in a crew. While the first game was limited to solely cars it is a true eye opener of what Ubisoft wanted to achieve with the second instalment. Not only is there a wide range of vehicles but in addition a lot of bikes in different styles, airplanes for fast stunt flights and boats to fly throughthe water. The player starts as a rookie in the circuit and after having its first marathon the followers are racking up and now you are invited to more events around the States. 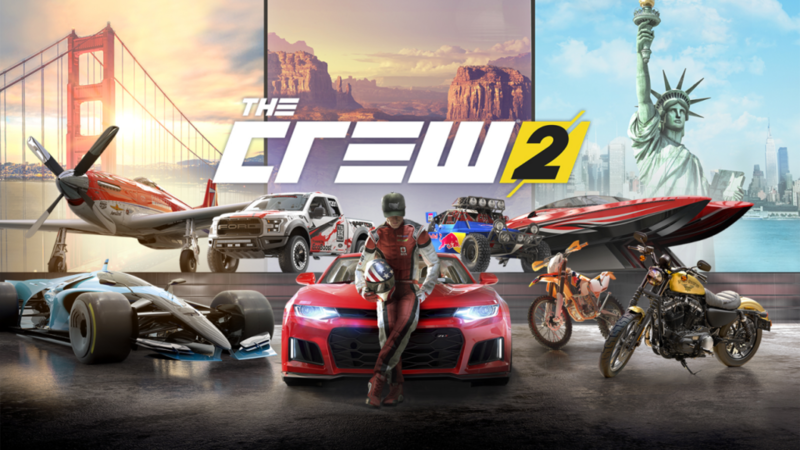 When getting dropped into the world you are submerged in the rich world of The Crew 2. The streets are alive and this is immediately noticeable, the sky is the limit and the water is inviting to swim in. Overall the graphics of this beta look really smooth with good lighting, making the whole feel more fictional instead of real. The HUD has been simplified to make the game easier to understand and to optimize user comfort. At this moment there do is a lot of effort done to the smaller details like smoke, fire, water effects and much more. The other important place where a lot of work went into was the sound. In a game where you spend all the time on the road everything must sound the part, even if it’s a simple four cylinder or a roaring V8, it must sound like you are in the actual vehicle. Each ride sounds like their real-life counterpart. A good driving tune is essential to have that fun long lasting road trip, for this reason Ubisoft has decided to have a very mixed soundtrack from Indie Rock to Drum and Bass and Techno. ‘Take the keys, leave the cannoli’ is the feeling you get when starting up for the first time. In an introduction event that is played like a marathon the player experiences every aspect of the game. It all starts on the road where the first feel of the driving engine is felt. It has this arcade feeling to it and while the first title was also built for fun, it hurts a bit that cars feel a bit disconnected at times. As you progress you take the steering wheel of a boat. Ships have a different handling that allow them to pick up better speeds when placing the propulsion systems at the right angle for optimal power displacement. Sailing the waters is quite fun and has just the right mix of arcade and realism. Last but not least the race takes to the skies in a stunt plane, high speeds and dazzling stunts. After the tutorial the player is free to go and explore, race and tune vehicles to their desires. You may switch on the go between the three types without any restrictions (parking your boat right in New York rush hour might not be a good idea). Because of the wide range of different automobiles everything has been divided into classes. When rolling around in free mode it doesn’t matter behind what wheel you sit, but events are class-based so keep a good ride in each class at the ready. 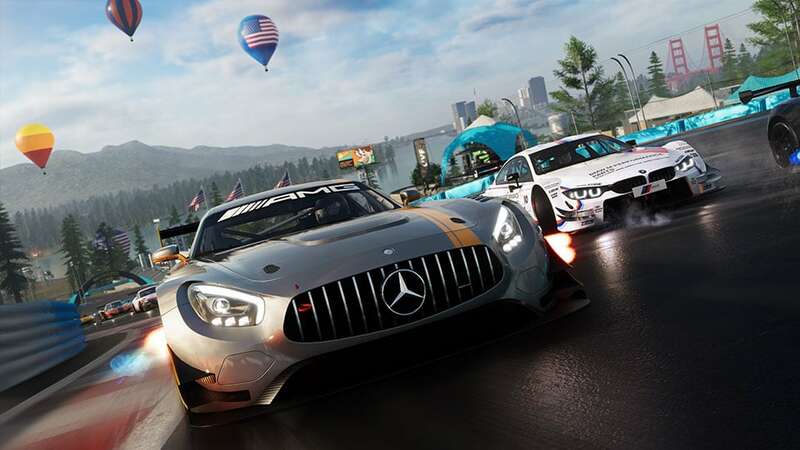 To keep them in a good shape the tuning has returned so the player can fit some new parts to customize and personalize each vehicle and make them competition ready. 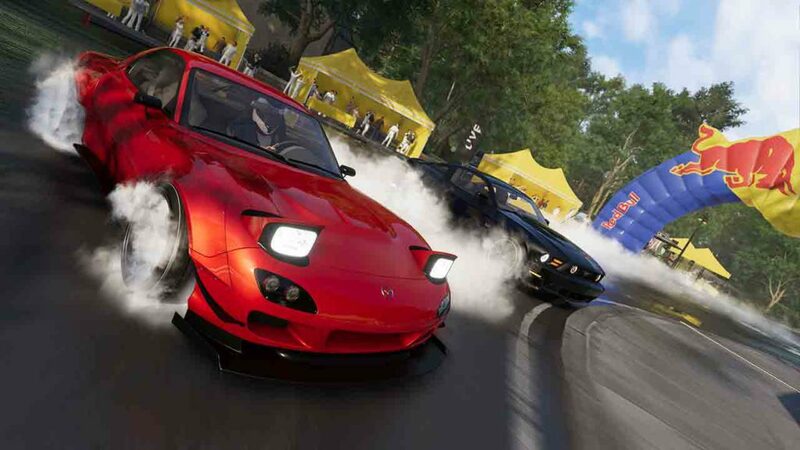 A fully built race monster is useless if you cannot try it out against some opposition, so like in its predecessor you create a crew with up to four drivers to make races easier or more challenging. 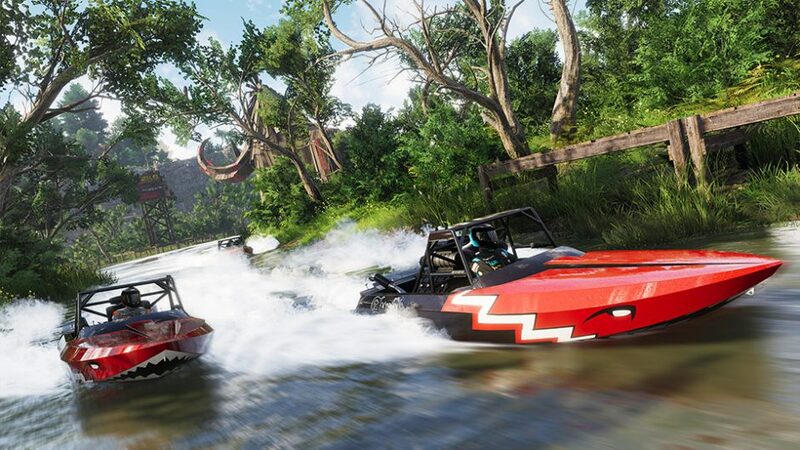 The closed beta was a great first insight to the new version of The Crew franchise. The first title was fun and it’s good to see that the developers are staying true to its original gameplay elements, which means that a lot of players will be looking forward. Graphics look good and compliment the less realistic gameplay. While a lot of content will ensure hours of gameplay, let’s hope that the feeling of the cars that the feeling of the cars gets fixed a bit for a better driving experience.